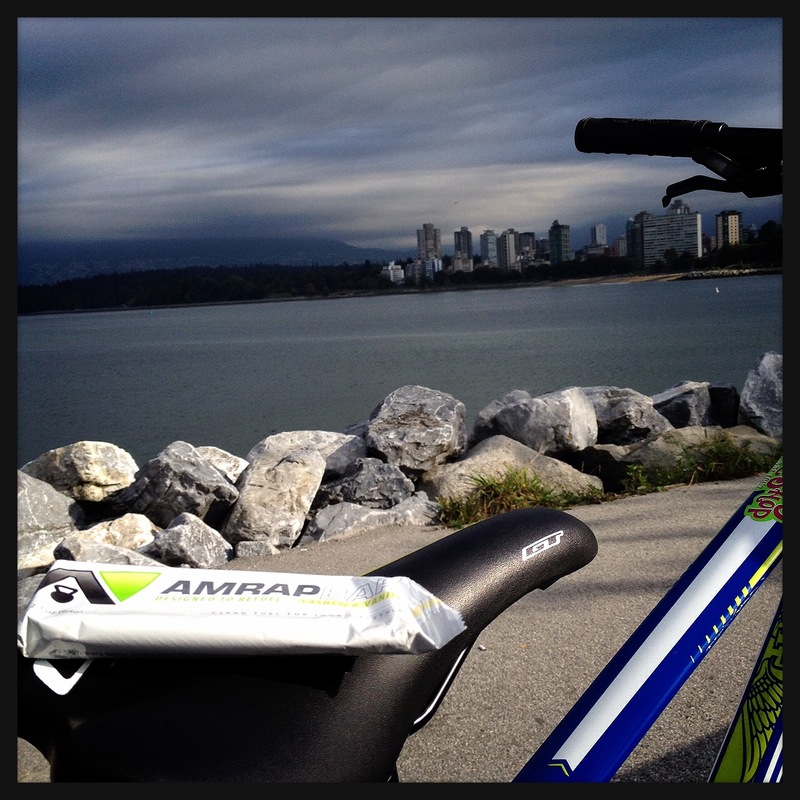 Review of AMRAP Nutrition Bars + a GIVEAWAY! Yay! I’m addicted to energy bars. I like bars that are high in protein. Bars that are high in fat. Bars that are high in carbs. Bars that are high in AWESOME. I eat them when I’m too hungry for a small snack but not hungry enough for a meal. I bring them along on hikes and bike rides. I eat them on days where I’m constantly on the go and don’t have time to sit down for a meal. I chop them up into a yummy topping for yogurt or granola. I broil them in the oven before smothering them in peanut butter and thinking about all the bad things I want to do to them (I’m looking at you, Quest Bars). 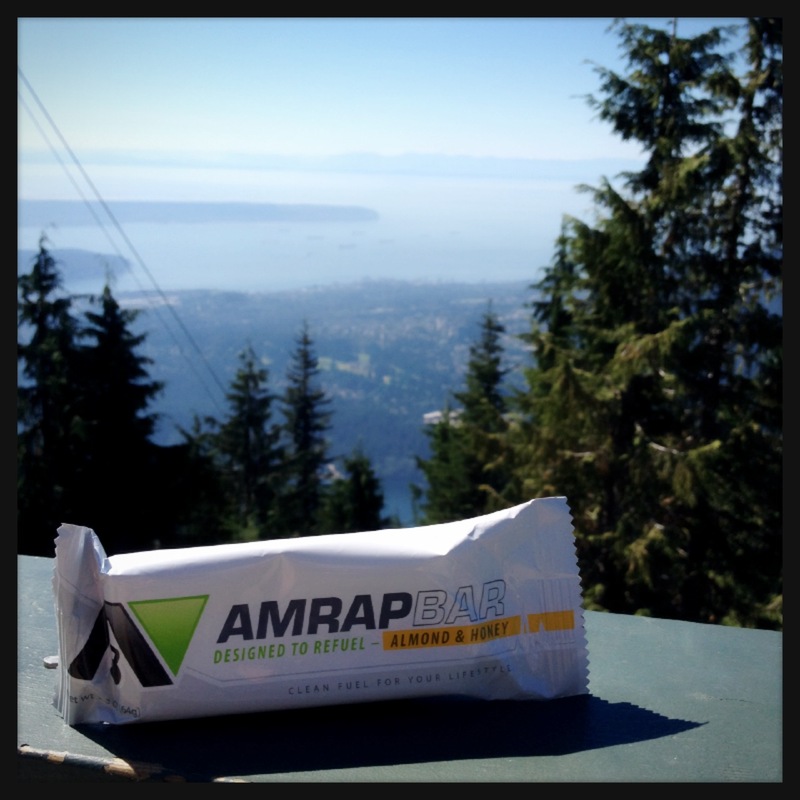 So when the opportunity to review the new bars from AMRAP Nutrition arose I was beyond stoked. I was sent one of each of their flavours: fig & cacao, almond & honey, and vanilla & cashew. 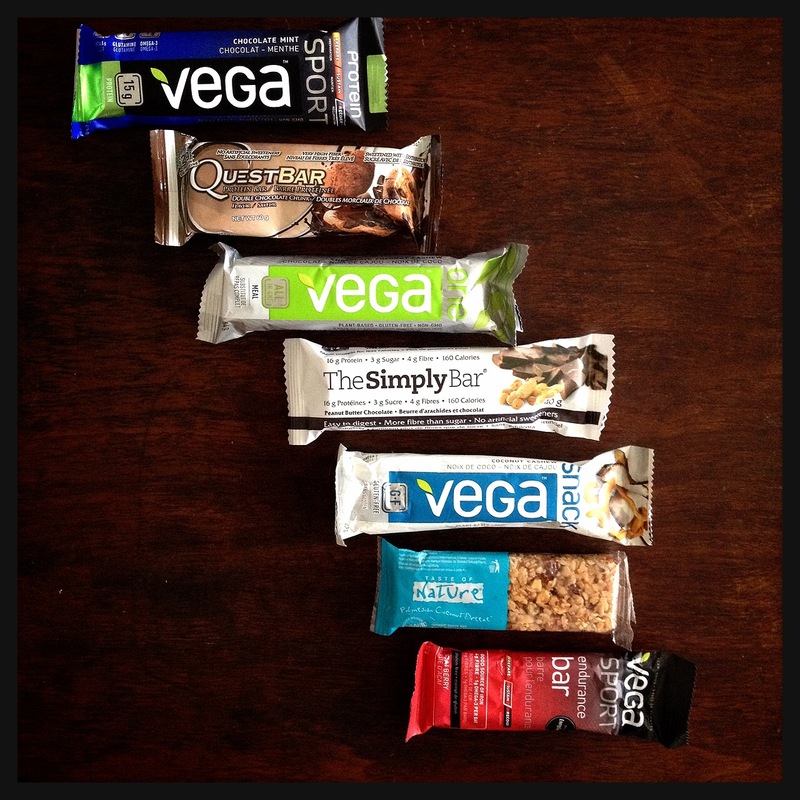 There’s a few things I look for when picking an energy bar. They have to be filling, have a decent amount of protein, and contain all-natural ingredients I can pronounce (I’ll sometimes make an exception for the more dessert-y bars). AMRAP’s bars totally fit the bill! With ingredients like egg white protein, nuts, honey, cacao nibs, and coconut oil, these are bars I can feel good about snacking on. For those of you who are unfamiliar with CrossFit, AMRAP stands for As Many Rounds As Possible, a type of workout in which you aim to complete as many rounds of the prescribed exercises and reps as possible within a specific time frame. It’s definitely up there on the intensity scale, and these bars are meant to fuel intense activity. Perfect for this accelerated heart rate-chasing girl over here. As Many Rounds As Possible (AMRAP) defines our philosophy. Through determination, intensity, and focus, we aim to inspire and empower our community to reach their full potential. Join us, and together we will change the world. I was slothing it up when these bars made their way to my door, but my workout was already done for the day and I didn’t want to wait until the next day to try them! I picked the fig & cacao bar since it was the least calorically-dense and ate half of it. The texture was just what I like – the dates made it nice and chewy but there was still a bit of firmness from the other ingredients. Not very braces-friendly, but that’s fine by me. The bar tasted good. Like really good. I had to force myself to put the other half in a ziploc and back away. I had high hopes for the other two flavours, both of which contained a whopping 21 grams of heart-healthy fats! This girl loves her fats. I decided to put the honey & almond to the ultimate test. On Sunday I hiked the Grouse Grind and had to go grocery shopping right after, so if this bar could fuel me after the Grind and prevent me from getting hangry before I got home from shopping I was sold. The verdict: after my 48-minute ascent up the mountain I downed that bad boy (after taking pictures of it and getting a lot of weird looks from people) and I wasn’t hungry for a good three hours afterwards! I RARELY go three hours without thinking about food. The bar was totally delicious and got warm and soft from sitting in my fuel belt as I hiked, which kind of made it feel like there was a little bit of heaven in my mouth. I ate the cashew & vanilla bar after a one hour barre class and an 18km hilly bike ride and it was almost as yum as the honey & almond. It was a little more chewy since it wasn’t warm and the texture almost reminded me of a Quest Bar. Which makes me think I should broil one of these the next time I get my hands on one. All-in-all, these bars are totally Ariana-approved and receive an A+ in nutrient density, fullness factor, AND taste. I’d recommend eating them after an intense workout and they’d be great to keep in your bag for those days you’re out and about and can’t find anything nutritious to eat nearby. While it’s all natural, these bars do contain a lot of sugar so if you’re watching your figure I wouldn’t recommend chowing down on one while you sit at a desk. But if you’re just looking for a yummy snack you can feel good about and aren’t too concerned with the sugar content, these bars are a way better choice than some of the other ones out there. And now the exciting news! 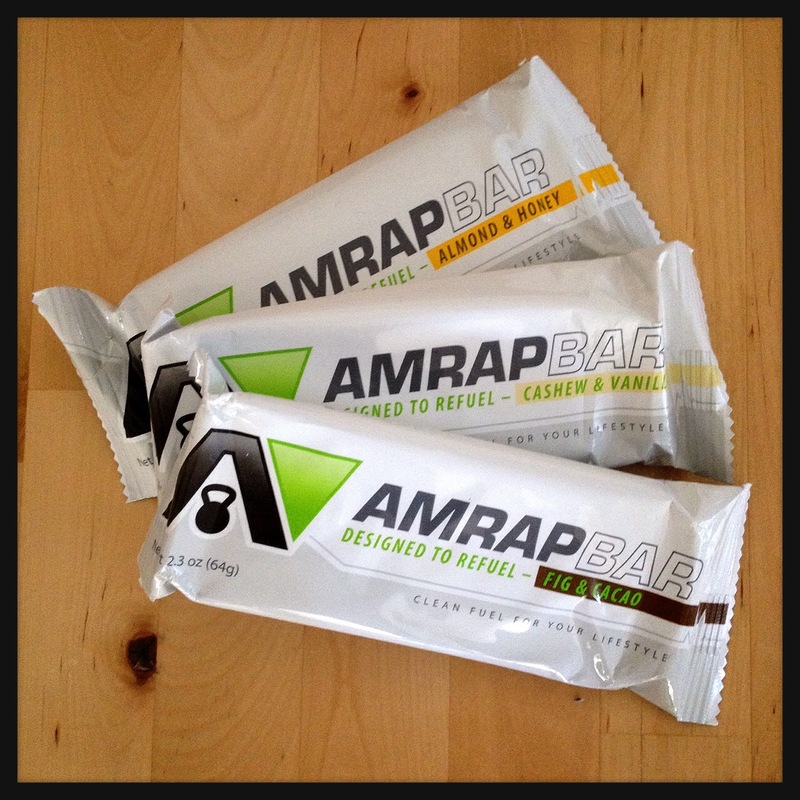 AMRAP is allowing me to give away a box of these bars to THREE lucky winners! You’ll receive a box with 8 bars of either fig & cacao, cashew & vanilla, or almond & honey. The contest will close at 11:59pm PST next Monday September 16. So enter below my friends, and good luck!! I will announce the winners next Wednesday. so click that link and head on over! For every task you complete you’ll receive an additional entry. Please note that this is my first time using Rafflecopter for a giveaway and I’m slightly technology-challenged, so if this process is confusing let me know and I’ll help ya out! This entry was posted in Food and tagged clean eating, diet, exercise, fitness, food, health, nutrition, paleo, sweat pink, vancouver. Bookmark the permalink. « So Ya Wanna Be a Personal Trainer? So, I have been steered away from these bars as they are meant for very high intensity worker-outers. So, if I were to incorporate these into my life again would you recommend eating a whole bar in a day or should I break it into segments based on my intensity per day? How many gr. protein etc per day based on output? As a mid-day snack I’d probably break them up in half, but on those days where you’re busy at work from 3pm onwards and don’t get to eat anything until after 10 I would eat one of these right before your shift. The high fat content will provide slow and sustained energy for quite some time, and while they’re high in sugar it’s not like you’re sitting down for hours on end in a restaurant…that glucose will be put to use! Based on you and your goals I would recommend consuming around 105 grams of protein each day (we can discuss on Thursday how I got to that number 😉 ). This would be a constant and wouldn’t change depending on your activity level. These bars have 12-15 grams of high-quality protein so they would definitely help you reach your target! Haha, love your review and your post on facebook! These bars really are delicious and great for a post workout snack! Hehe thanks! And yes they are totally delicious. Good luck!! Wasn’t sure where i was suppossed to comment on the rafflecopter…would love to try these! Great!! Sorry, I’m still really new with Rafflecopter and I’m sure this is kind of confusing haha. I will count your comment here as an extra entry! 🙂 Good luck!! Never tried these! I love a good bar!! They are BRAND NEW! Not on the market in Canada yet. Good luck!! the fig and cacao flavour sounds yum! Would love to try these after a hike! Yes these would be great fuel for a hike! Good luck!! Well it looks like you gave it a good shot with all those entries!! 🙂 Good luck and I will announce the winners on Wednesday! !